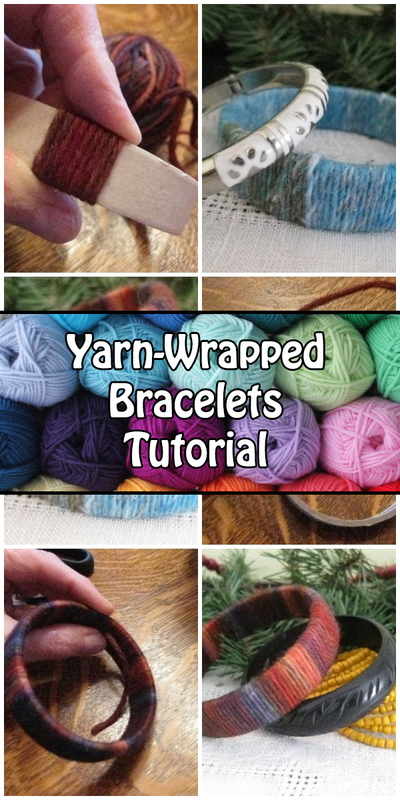 Love the look and feel of yarn but don’t have the patience or budget for knitting? Don’t despair! 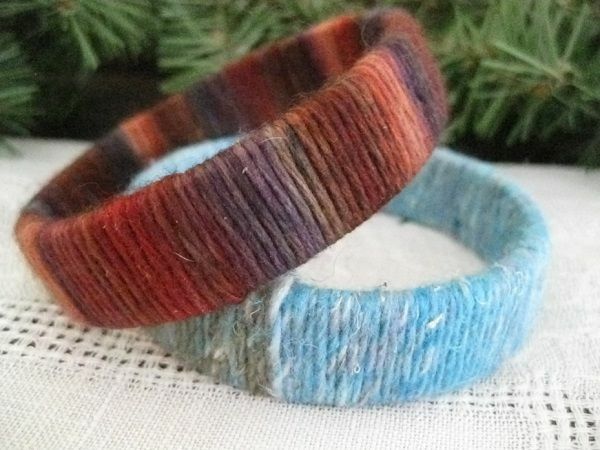 Make a gorgeous yarn bracelet. 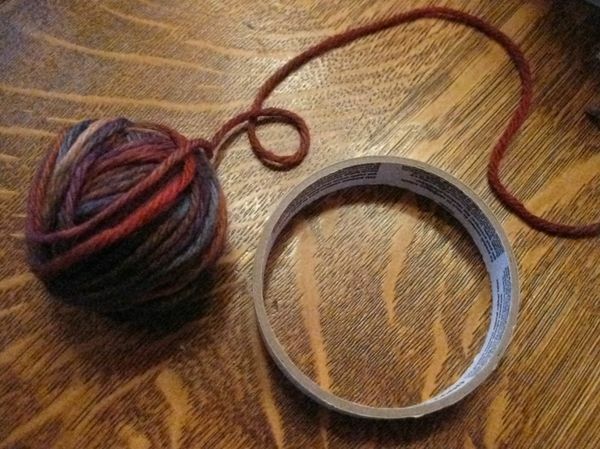 You only need a few feet of yarn and something to wrap it around. Choose a small amount of yarn. I’ve selected a worsted weight yarn that has been hand painted so there is a lot of color variation. I’m going to wrap mine around an empty tape roll. 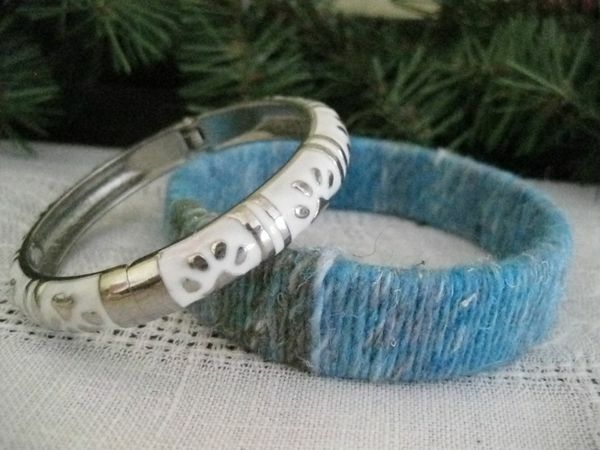 You could use an old bracelet or any other suitable object. 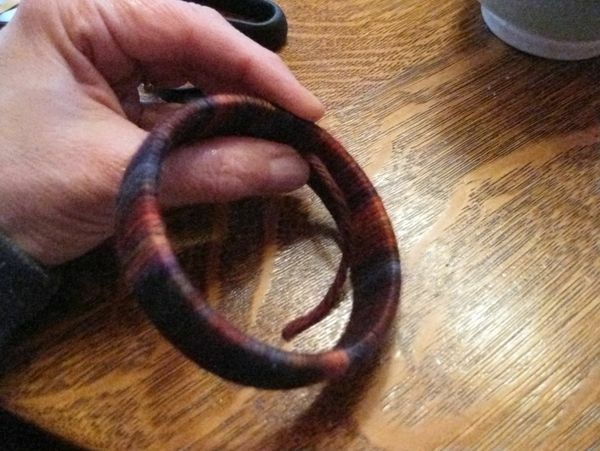 The dollar store has cheap bracelets; don’t forget thrift stores and garage sales. 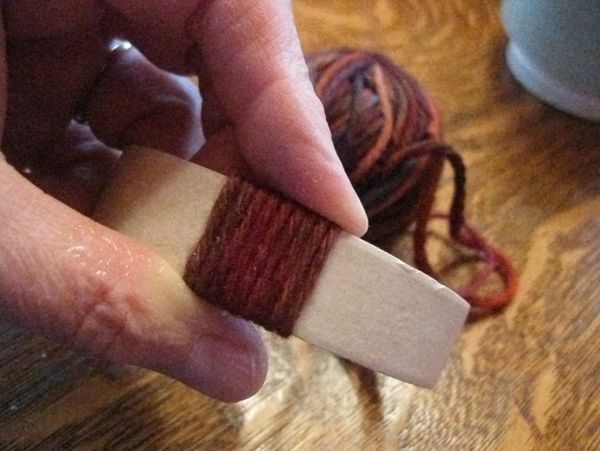 Begin by placing a small dap of glue – either craft glue or super glue on the end of the yarn on the inside of the tape roll. Then begin wrapping being careful to line up the yarn nicely. Keep going all the way around and secure the end with other dot of glue. Warning: once you start you won’t want to stop! Makes a great inexpensive gift. Hint: Most local yarn shops sell small amounts of very nice yarn in “mini-skeins” so you can use very nice yarns with minimal investment. I used Malabrigo Rios for my red/orange bracelet, and Noro Sock for the turquoise one. Show off your new bracelets to anyone and everyone that wants to see them! 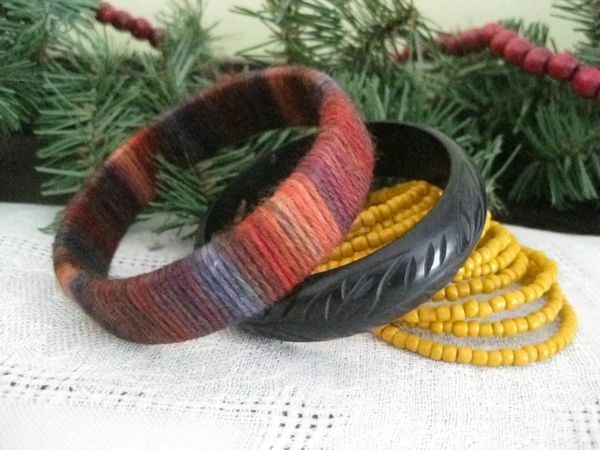 These look gorgeous all by themselves, or when paired with other bracelets as shown.